This is your Honolulu Temperature. This is your Honolulu Temperature on ASOS. Any questions? | Watts Up With That? This graph got rather buried at the end of a long explanatory post showing the twists and turns I had to take to get the data. I think it needs front and center exposure, so I’m putting it here. 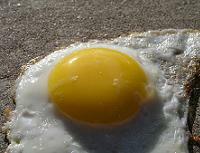 It is rather hot over asphalt. It’s even warmer when the temperature sensor malfunctions and creates a string of new record highs that the NWS does not see fit to remove from the records. Note when the highs (Tmax) converged for the first time this month to within one degree. Which station is more representative of the climate of Oahu? One is at an airport, one is not. Which station is doing a more accurate job of depicting climate? Details here. June 19, 2009 in Climate data, Ridiculae, Weather_stations. Also note the effect of the 97/8 El Nino. As an old Sawrs (Supplemental Aviation Weather Reporting Station) observer,there is nothng like the Human brain and Mk1 eyeball for accuracy. This is a true FUBAR as Anthony said..
It’s like a whole swarm of climate rationalists attacking Honolulu screaming FUBAR! FUBAR! FUBAR! Can I have both my eggs over easy please, I don’t want one of them fried to death. In my opinion the front and center exposure of your graph is warranted. Earlier today I selected it and some pertinent excerpts from your previous post to use in an effort to try and convince a correspondent that the AGW science is not yet settled. Perhaps a futile effort, but I suggested that a person can not have a balanced view of AGW reality without being aware of the issues concerning this station and many others. Great work in digging this out and bringing it to the fore. When I first began trying to understand global warming and the scientific (so called I now understand) debate that supported it 7 years ago I had accepted temperature records at face value and could see clearly a 150 year trend in warming. Over the years I have learned a little about UHI (thanks mostly to your work) but this one finding is perhaps the most startling evidence of its potential impact (notwithstanding the sensor problems at the airport). I do not doubt that the earth has warmed over 150 years but the scale of that warming has to be questioned. This is not a singular example at Honolulu but it is perhaps the epitome of the problem. Pielke Snr has shown repeatedly the impact of land use change on our climate and I hope that soon scientists on all sides start to acknowledge this issue as a key factor before we run off doing untold damage to our economies chasing a spurious (at best) concern over AGW from carbon emissions. Most importantly, one day I hope your tireless efforts are duly recognised. These data are recorded by an ASOS station. Wasn’t it an ASOS station that set an all time state record low in IL last winter? And wasn’t it disallowed because it was recorded by an ASOS? Apparently ASOS are only useful in measuring high temperatures. Egzellent point. More hypocritical doublespeak from the chicken littles akin to alleging both warming and cooling is due to global warming. Anthony, could you please serve that Mann over in the corner some of those eggs with a serving of kentucky fried crow? Since there are no sunspots visible, supercomputers are now used to model them. I am responding to everyone who has emailed me and/or my staff. I have bcced everyone to protect their privacy. I’d like to thank everyone who has written, for their comments, their insights, and their support of the US National Weather Service (NWS). I am Jim Weyman the Director of the Central Pacific Hurricane Center and Meteorologist in Charge of the NWS Weather Forecast Office, Honolulu. I have been in my position for the past 13 years. I work with some of the greatest people both in the NWS and with our partners in the media, public, state and local government, civil defense (emergency management), and many others. There have been several errors in the comments I have received concerning weather in Hawaii. We forecast from sea surface to over 13,000 feet. We forecast the occurrence of tropical cyclones, tornadoes, severe thunderstorms, high surf, and even blizzards. When the Weather Channel wanted to do a special on Weather and Geography, they came to Hawaii. We have more varied weather types than almost anywhere else in the US. In Hawaii, you can surf in the morning and snow ski in the afternoon. On the Big Island of Hawaii, you can go from rain forest to deserts in about 20 miles. On Oahu, the annual rainfall varies from 20 to over 100 inches in different parts of the approximately 25 miles by 40 miles island. There have been some thoughtful comments on the web regarding the temperature at the Honolulu Airport. I believe some people have misunderstood or incorrectly interpret these data. The Honolulu Airport observation is for aviation airport purpose. These observations are critical for aviation safety and operations and for weather forecasts for the airport. So this observation is representative of the area where aircraft operations occur. Daily, there are hundreds of landings and takeoffs at the airport, so it directly supports these operations. Because weather and climate conditions vary rapidly in Hawaii by location, we have many other observations sites in Hawaii which are representative of other, non-airport sites on Oahu. Observation sites separated by 3-4 miles can differ significantly. As most of you know, all sensors and most equipment have calibration tolerances. This can be a range of one hundredth of an inch for some and larger amounts for others. 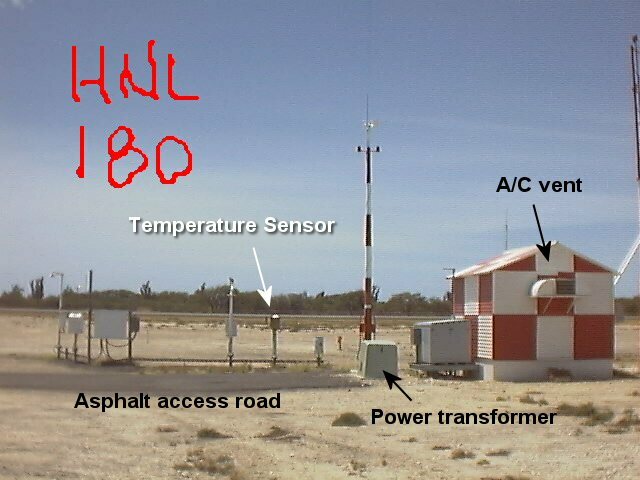 Meteorological sensors’ calibration tolerances are usually plus and minus some range of the parameter being measured. The plus or minus two degrees for the airport temperature reflects the calibration tolerance and the design specifications of the instrument. Two sensors side by side, working properly will show variations. During the past week, the NWS checked the accuracy of the airport temperature sensor on three different occasions and all three times it was within tolerance. Someone mentioned Climate Reference Network (CRN) sites. The CRN was designed to meet very stringent climate requirements and the Honolulu Airport is not one of the CRN sites. NOAA’s NWS knows the importance of accurate climate observations and therefore designed the CRN and is installing them to meet climate requirements. The Honolulu Airport site is not designed as a CRN site, but was and is designed for airport operations. As in any area of the US, different sites are designed to serve different purposes. WFO Honolulu can not change these documented airport observations, because there is no scientific basis to make these changes. The instrumentation was within its tolerance. I believe any person or group making subjective, relative changes to official observations could lead to many unknown problems. Without scientific, objective data, I believe to change any observations by plus or minus of 1, 2, or 3 degrees over entire days (or should it be only parts of day or hours?) is highly subjective, can’t be scientifically justified, and could lead to many other unknown changes and impacts in the future. Once again, I thank you all for you interest, insights, and assistance. I appreciate this opportunity to answer some of your questions and concerns. Thanks! Hmmm, it seems that Jim Weyman neatly skirted the pertinent questions regarding the readings. I gathered from Jim Weyman’s comments that the data isn’t used by NOAA for climate data purposes, forcasting etc. and that it is used solely for aviation purposes. REPLY: Yes, it was designed for aviation, that is the primary mission, but he’s dead wrong about it if he’s claiming it is not being used for climate. the fact that is is listed in “SUB-NETWORK- AB” is the giveaway. The “A” network is primary climate network. All USHCN stations are part of the “A” network, but not all “A” network stations are USHCN. The Automated Surface Observing System (ASOS) is the primary minute-by-minute, 24-hour weather observation system for the National Weather Service (NWS), the Federal Aviation Administration (FAA), and the Department of Defense. ASOS generates the basic Aviation Routing Weather Report (METAR) and Aviation Selected Special Weather Report (SPECI). This information is essential for safe and efficient aviation operations and is used by the public to plan day-to-day activities. ASOS also provides valuable information for the hydrometeorologic, climatologic, and meteorologic research communities. Wonder if Jim can explain where the “lost” PTWC station went. NOAA credibility sinks further into the overheated mire. As you remember, Fielding is an Australian Senator asking the right questions. He asked questions seeking evidence that human emissions of carbon dioxide were the main cause of global warming. He has control of the vote since his vote can give a win or lose to the Senate vote on Global Warming Emission Trading Scheme legislation. They had what looks like a civilised meetingbut did not get clear answers to his questions from the doomsday warmists, but he did get clean answers from the skeptic scientists. Thanks for clearing up the misunderstanding that the Honolulu Airport facility’s data is suitable for use as a source for the study of climate and as a basis for conclusions arising therefrom. My advice to my congressmen will focus on this fact you have made clear in regard to the data the Honolulu airport and similar stations produce and the fact that such data is only appropriate for aviation purposes – it being improper to to include such measurements as part of the Climate Reference Network. I appreciate your frank and open reply, I think it represents a real step forward for climate science in this country. 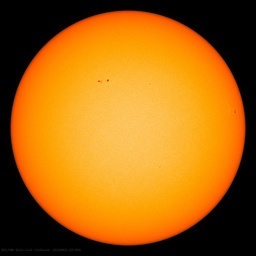 The picture of the simulated sunspot has a strange effect on my vision… when I look at the picture, the sunspot throbes. I can’t look at it too long. Funny though how they justify their research by admitting how important it is to understand sunspots since htey have an important impact on Earth’s climate… well, well. Anthony, you and your team of Temp Busters will be recognized by history as modern-day Martin Luthers. Even as the Lamestream Midiots try to vilify you and your fellow truth seekers as “flat-Earthers” and “Big Oil” shills, your even-handed, scientific methodology will, in the end, prove that AGW is the biggest fraud ever foisted upon mankind. You will go down in history as a visionary and a hero, even though that’s not what you set out to do. We all owe you and your fellow scientists a debt of gratitude that we’ll never be able to fully repay. This is the same NWS that predicts daily temps for agriculture uses? 40% chance of showers, high of 71? Maybe a good day for spraying? Not. It has been pelting cold rain all day and at 4:04 we still haven’t gotten above 54. However, I went fishing anyway since spraying is out of the question. Rivers are as high as I have ever seen them. But I caught 3 very nice trout anyway. According to the very same NWS that constantly predicts hot sweaty weather, our growing day degree rankings are not as good as they used to be. And the hottest records are similar. Only periods with no missing data were evaluated. Last value also occurred in one or more previous years. That was back when tomatoes were red and cantelope ripened. Now we can’t even get the lowly pumpkin to market. Right now, me thinks the NWS knows squat. I am confused by the graph. The Pacific Warning Center is in Palmer, Alaska. I just went back and checked the AccuWeather archives, since we’ve just had 2 days in a row where the average daily temperature had a positive departure from normal, which brings the total for the month to 3, and going back into May, 3 for the last 29 days. As we approach the solstice, heating degree days for the month exceed cooling degree days by 50%. This is for a town that has had a long reputation as the warmest reporting city in the state of Minnesota. A question comes to mind as I type this. As I recall, one of the consequences of all the gloom and doom forecasts of “evaporating” Arctic ice is supposed to be a cascade of rising temps from increasing areas of open water absorbing more solar insolation. Given that in the last two years, we have experienced summer ice loss in the Arctic which has been fairly dramatic, or dramatized, shouldn’t we be seeing some signs of the appearance of that phenomenon, by now? Hold everything! For the first time in what seems like forever, there is truly FANTASTIC news tonite out of Washington with regard to the climate change bill!!! The negotiations “blew up” because all of the farm and industrial state dems are figuring out that all of the enviro-west coast dems want their states, and their states best employers, to take it in the teeth (or somewhere) just for the glory of feeling good about themselves. That ain’t happenin. The Honolulu Airport observation is for aviation airport purpose. These observations are critical for aviation safety and operations and for weather forecasts for the airport. So this observation is representative of the area where aircraft operations occur. Daily, there are hundreds of landings and takeoffs at the airport, so it directly supports these operations. Because weather and climate conditions vary rapidly in Hawaii by location, we have many other observations sites in Hawaii which are representative of other, non-airport sites on Oahu. Observation sites separated by 3-4 miles can differ significantly. the airport climate obs because they are only adequate for flight operations? trained (why am I salivating?) to look for grills, trees, asphalt, etc. the surrounding terrain because the hardware always looks the same. See http://www.ncdc.noaa.gov/crn/photos.html – click on the .pdf file. high temperature data for Phoenix exist from 1896 to present day. high temperature was 95.1 degrees. sub-100 degree June days occurred in 2006. Regarding Jim Weyman’s statement: I found this well done, informative, and sensible. I think he should be commended for providing this. So, thank you Jim – even though I’m reading it on WUWT. Some of us mentioned yesterday that airports need very local and timely atmospheric characteristics. Same with me if I want to go on a horse ride, picnic, or to a volunteer work party on a USFS hiking trail. The latter I did today (with Washington Trails Association) thinking it would be basically dry with the possibility of rain (20 – 30%) after 11 AM. It was raining when we arrived at the trailhead (8 AM) just east of Snoqualmie Pass (WA State) and continued to rain or drizzle all day – again raining hard as we finished about 3:30 PM. This is somewhat like a plane leaving the mainland with the expectation of arriving at Honolulu with partly sunny skies only to find it raining – you land in the rain. When working in the Cascades one always carries rain gear. When the forecast fails you revert to Plan B – work in the rain. So far, fair enough. When your climate change prediction is way off but you have mandated drastic changes in the society – What is Plan B? for some reason they stopped reporting in 2006, but just look at the number of errors! Suitable for aviation? Click on Honolulu, and tell me what station you get. Thanks for that, Dave. That’s from last week – note the date in it. That article says Pelosi demanded that all the problems be worked out by June 19 (today). Instead, the short term process has collapsed in acrimony. And it’s collapsed because the AGW true believers can’t accept that no one who wants to be reelected can go for their job destroying bill. And this is just in the house! The wheels are coming off this wagon as we watch. Hooray! Ah… thanks for the heads up on the typo. Please keep up the efforts. After 35+ years in industrial applied science, I had started to become increasingly discouraged by the lack of scientific thought in government, academia and business. I found hope on your site and a couple others. You can not imagine the pleasure that comes from finding a few that pursue scientific understanding instead of pushing a political science or esoteric publication agenda. Please keep up the efforts. Way to go….and thank you for your tenacity on this squirrely, slimey issue. Ric-I was at Sky Harbor in the 1990’s at the USFS Tanker Base,remember those 110 F.
temps and more like 120 in the Aircraft. I also remember then that the Weather Service office was right next to a very black asphalt ramp…. Since Australia is also in the Pacific I thought this OT comment might be of interest here. Death? Plain and simple, an ETS threatens to kill the Australian economy. It is a direct attack on our core comparative advantage: bluntly, the production of CO2. Power generated from cheap and abundant coal is a, perhaps the, core building block of both our standard of living and our entire economy. Not just the bits directly linked to it. Exports of coal and iron ore, which “someone” else turns into CO2 — with our government and elites discreetly averting their virtual reality eyes, like a Victorian lady of virtue — keep us from true “banana republicanism”. No one else comes close to producing CO2 as efficiently as we do. There are dozens of countries jostling to be a “clever country”. We are unchallenged as the leading tree-food producer. Here we have another good post showing the importance of the Surface Station Project and similar efforts. Great job. Maybe this is a dumb question.. If they want to use data from that site for daily weather and climate study, as well as checking egg frying temps on the runway, why not set up another sensor in a suitable location and feed it through the same gear as a second, more climate accurate, data set. I mean my $199 Oregon Scientific WM968 weather station can run and graph multiple sensors. If this budget station can do it, the NWS can probably add a sensor too. I still have questions about the sensor calibrations. Our man from the NWS says that they were in spec, but replacement brought a shift in the data. I agree that we shouldn’t just blindly adjust it, but it should be a routine procedure to analyze it against correlated data and adjust it as the science permits. On the USGS Internet river gauges, they are clear that it is provisional data being shown, and that it is subject to revision. They occasionally verify the remote readings in person and adjust it as needed. The next question is, what is the allowable error in calibration? OT but well worth a read I think – this is a review of a meeting between skeptics and alarmists (rare indeed) downunder and it speaks volumes about the challenge that lies ahead. please include celsius in your graphs so that the rest of the world also understands it. “in graduate school, one of the “side projects” I was given my my mentor and worked on just for fun – was developing models for playing blackjack… none were foolproof, and we are now talking about a system (blackjack table and players) much more simple than the earth and its climate system. If I were to present a paper claiming a new and novel solution to Fermat’s last equation, and provided only the result of my solution and not how I arrived at it (i.e., the proof) – I would be laughed at, and no one would publish it. This type of thing happens every day with the climate models – well, show me the proof, let us scrutinize the model, as we can’t scrutinize the results without the models used to obtain them. Then we will see how little we really know. Well played, guys. It pays to comment early…. Is it really FUBAR or is it just SNAFU ? Just to repeat the link from Ray (14:46:21) and add that this is worth reading if only for the humour. Mark Twain was a master of irony; a humourist of devastating dissection of both the pompous and the fool. He gets some serious competition here from Dr David Evans in his outline of the meeting between Australian Senator, Steve Fielding, and Federal Environment Minister Wong. For example: It’s as if they had never before encountered real live competent skeptics or their arguments. Actually, there is a technical reason for this: they probably hadn’t. As I wrote some month ago, there are discrepancies all over the presented data from the so called scholars of “Global Warming”. It’s true that temperatures from stations at Airports are for airtraffic usage, and for airtraffic usage only. Same as someone above wrote about stations giving forcasts for farmers etc. It’s also true that one fly doesn’t say it’s summer. Two stations in any area larger than ten footballfields aren’t sufficient to produce a forcast for the future, let alone two stations in Honolulu. Jim Weyman might not comprehend it, but he himself presented one of the best contradictions to the global warming theory that’s been written down. Unfortunatly this is what the so called scholars forgotten when writing their so called software. (Bear in mind that I became systemprogrammer in 1971 and while I have worked with many other things, including changed to become a teacher of history, over the years before I was disabled) ONE NEED TO DO ONES HOMEWORK! It’s essential to remember that the biotops of a larger area aren’t necessariely the same all over AND above all the biotops inlands, up mountains and along coast definitely aren’t the same! The impact of the biotops and the place where they are on the temperature, on the CO2 as well as on the oxygen situations also needs to take the winds into account. As almost everyone who learnt in what the teachers in groundschools taught knows: a temperarture alone doesn’t say that temperature x in one place can be compared with temperature x in an other place. Winds and other circumstances make that comparison unreliable. Other circumstances? Well had the so called scholars done their homework they would have taken into account not only that they need approximate 1000 time more stations with long measured statistics for at least 100 years(!) which they don’t have but have estimated….. they also would have known that hights over sea, how far to the nearest water/cliff/mountain, if the area around is cultivated or not etc etc into account! Great job Antony! Your story is on our weblog too. dewpoint unit is kept activated, so, in case the new dewpoint sensor dies, they can go out and just switch the older cooled mirror system into the circuit again. This is from an ASOS technician in Colorado. Another source of heat, even though it is aspirated, in the temperature sensor housing. It is as if the AGW community cannot comprehend that anyone is still questioning their authroity. Anthony, I had a Jesuit trained history professor who called Martin Luther the scourge of all humanity (or words to that effect). I get the impression that you’ve already been called worse. Yet another excellent WUWT example of how this world really works. I was a consulting geophysicist for a long time. One had to do one’s homework because the work presented was always inspected very carefully. How I wish the same standards were applied in the AGW business. If they were followed perhaps there wouldn’t be such a large AGW business. Thank you Roger for flagging this fascinating meeting. We strongly recommend that anyone interested in understanding the mindset of the alarmist – read this. This is what we are faced with. And knowing that face provides the clues to counter it. In a previous comment I mentioned that a similar problem occurred at HNL in the early 1970’s. The response from the people in charge of maintaining the instruments was the same. It took some investigative reporting from the Star Bulletin to bring this problem to the attention of the public, and because black aviation oil was found around the instrument site, the problem was “fixed” because it was thought to be an environmental cleanup story, not a data accuracy story. In other words, nobody cared that the temperature records were bogus, but they did care that there was oil sludge being dumped. The current situation that existed until mid June at HNL reminds me very much of the same situation from the early 70’s. Someone in the NWS (perhaps by NCDC in Asheville) did look over the data, and the bad data was cut from the records. I don’t have my HNL information in front of me now, but I believe there is mention of this in the HNL temperature history summary. August high temperature for that location was 83. Once the “official” Honolulu temperatures were reported from the airport this number jumped to 88. Older books still report the 83 figure. Current books report the 88 number. Honolulu did not get 5 degrees warmer overnight. Normally, rooftop temperatues are too high, but the Honolulu rooftop exposure was facing into a cool, tradewind flow off the Koolau Mountains, and was always cooler than other similar readings closer to ground level. 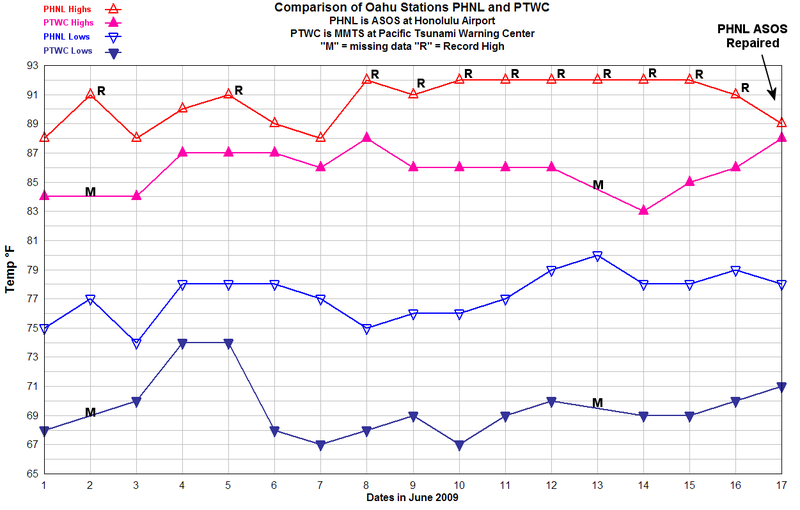 Temperatures from the airport have always been slightly warmer than nearby locatons (PTWC – Honolulu Observatory). When I lived there I had a home weather station and I always recorded cooler temperatures than the airport. Also, the temperatures reported from the Waikiki Zoo have always seemed too high. Fortunately for the airport location, the trade winds are fairly strong and consistent most of the time, and so heat thermals rising up off the hot surface nearby are quickly blow out to sea – most of the time. Another location that is reported daily and available on the NWS Honolulu Climate page, is from Kalaeloa. This used to be known as Barbers Point Naval Air Station. I wouldn’t say this is a good sensor siting either, but it’s easy to compare the data between it and HNL. Doing so shows that HNL has been getting steadily warmer over the past couple of years relative to Kalaeloa and reached a peak in mid June. What bothers me is that there doesn’t seem to be anyone monitoring such discrepancies in the Honolulu forecast office. When one station drifts several degrees higher or lower than another, or other stations, there should be someone who might notice this, particularly on days when the temperatures are breaking all time records. And now, when Climate Change (used to know as “Global Warming”) is on the front page of every paper every day, the folks at the NWS should be particularly careful that their data is correct. Billions, and eventually, trillions of our tax dollars are at stake, and the data that underlies the science HAS to be correct. If the data is incorrect, then the whole “house of cards” comes tumbling down. My reaction to the statement that ASOS units have a tolerance of +/- 2 degrees F is one of shock. These ASOS installations cost MILLIONS of dollars each and are supposed to be “state of the art” sensors. Relatively inexpensive home weather stations made by Davis Instruments, or Oregon Scientific, or LaCrosse Technology, can do better than 2 degrees. Davis regularly advertises +/- 1 degree accuracy. Why can’t the ASOS temperature sensors do better than 2 degrees F? There are many private companies that make weather sensors used in commercial applications that have calibrated accuracies in the .1 to .2 degree ranges, and only cost thousands of dollars, not millions of dollars. So, this 2 degree accuracy range is a bit of a public scandal in and of itself and should be looked into by our “representatives” in Congress. The title of the article is: “World-Record Rainfalls During Tropical Cyclone Gamede”.